We all know the stereotype. Just go to the mall and you will see it: an old white guy with a young Filipina. It's what happens in the Philippines. It's accepted for a white guy to prefer having a young Filipina cutie having off his arm. But with the roles reversed it's apparently not acceptable anymore. Lily May Mac is one of Instagram’s most followed darlings, with over 3 million fans and counting.Thanks to her social media following and popularity, she was able to collaborate with a few brands and eventually got the opportunity to launch her own makeup and lipstick collection. Uh-oh it turns out this Filipina model is a nasty, mean ol' racist! 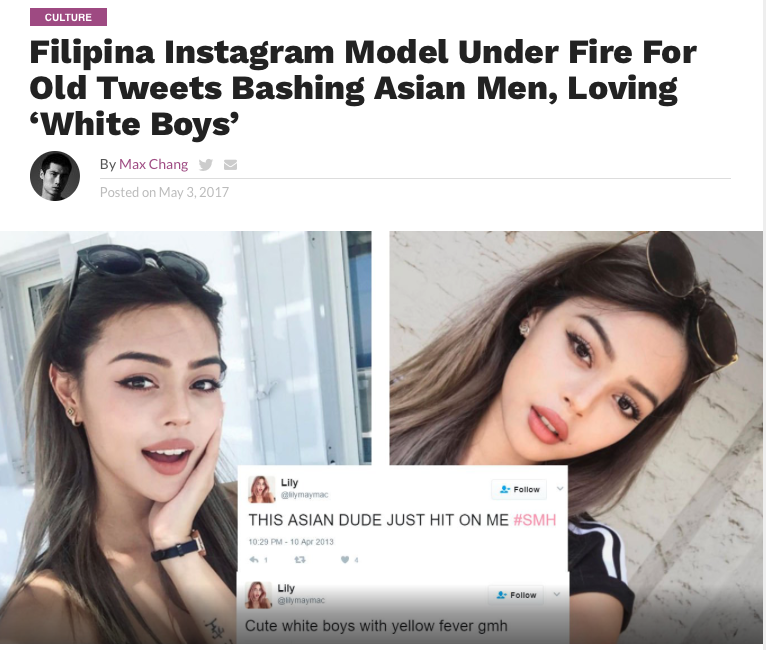 And all because she prefers White guys to Asian guys. Who knew that having a preference is racist? Of course in this day and age if someone does not wish to have a relationship with anyone else they are either racist, sexist, homophobic, fat phobic, or any other number of -phobes and -ists. Today people cannot have preferences. If an obese, homosexual likes you and you don't like them back then you are in the wrong! Why would she even have a particular dislike for Asian guys? She does not appear particularly Asian. Wow she disguised her Filipno-ness! Why would she do such a thing!? 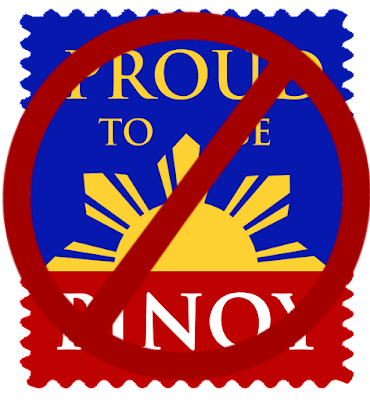 Not proud to be Pinoy?? Because of the crab mentality?? This whole family is so not proud to be Filipino that they moved to Australia! If even Filipinos don't want to be Filipno then what hope is there for the Philippines? For a nation who can't take criticism of any kind, even from their own, there is no hope.